New Yorkers have the opportunity to fall madly in love with French cinema (again) as the 17th edition of the annual Rendez-Vous with French Cinema festival will take place for 10 days starting March 1. Hosted by the Film Society of Lincoln Center and Unifrance Films, the event will showcase more than 24 French films, premiering for the first time in New York. The program includes the latest gems from such beloved auteurs as André Téchiné, Benoit Jacquot, and Alain Cavalier, as well as the introduction of the newest generation of French film artists. Festivities begin with the Opening Night film, THE UNTOUCHABLES by Olivier Nakache and Eric Toledano. 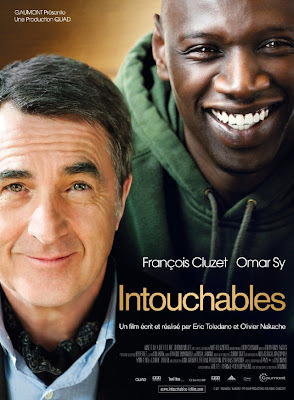 The film has been a phenomenon in France, shattering box-office records to become the second most successful film of all time, THE UNTOUCHABLES tells the true story of the unlikely friendship between a handicapped white millionaire (François Cluzet) and his unconventional Senegalese caretaker (breakout star Omar Sy). The film will be released in North America by The Weinstein Company later this year. Closing the event on March 11 is the premiere of DELICACY (La Délicatesse) by the team of David and Stéphane Foenkinos. French superstar Audrey Tautou (AMELIE) returns to the big screen with this touching portrait of a woman trying to put her life back together after the loss of her husband. In this charming adult fable, she embarks on an unexpected affair with a co-worker. The film will be released later this year in the U.S. by Cohen Media Group. Other highlights of the program include a retrospective screening of one of the most beloved French films of all time, CHILDREN OF PARADISE (1943) by Marcel Carné, and a collaboration with digital distributor Emerging Pictures, which will showcase a group of films by emerging French filmmakers including Delphine Gleize’s MOON CHILD, Rabah Ameur-Zaïméche’s SMUGGLERS’ SONGS, Alain Cavalier’s PATER and Laurent Achard’s THE LAST SCREENING, with video-delivered question and answer sessions with the directors. Also look for highly popular French actors Daniel Auteuil in THE WELL-DIGGER’S DAUGHTER and Mathieu Amalric in THE SCREEN ILLUSION. Adopt Films, a new New York-based distribution shingle co-headed by former October Films founder Jeff Lipsky, had a veritable shopping spree at the recently concluded Berlin International Film Festival, where the newbie company, co-managed with Tim Grady, picked up U.S. rights to some of the Festival’s top award winners. The company announced pickups of CAESAR MUST DIE, the prison-set docudrama of inmates performing Shakespeare by Italian veterans Paolo and Vittorio Taviani, which was awarded the Berlin Golden Bear for Best Picture; as well as the rights to BARBARA, which won for its director, German wunderkind Christian Petzold, the Silver Bear as Best Director. Set in East Berlin in 1980, BARBARA is the riveting and compassionate story of a pediatric surgeon, whose desire to emigrate to the west has banished her to a small country hospital far from freedom. German actress Nina Hoss plays the lead role, marking her fifth collaboration with writer-director Petzold. Adopt Films plans to release both films at the end of 2012 and will mount an Academy Award campaign for the directors and their lead actors. The company just announced yesterday that it has also acquired all U.S. rights to Ursula Meier’s SISTER, which world premiered in competition in Berlin last week. SISTERS stars Léa Seydoux and Kacey Mottet Klein as siblings struggling for survival amid the high-end ski resorts of the Swiss Alps. It was written was directed by Meier, who co-wrote the original screenplay with Antoine Jaccoud. 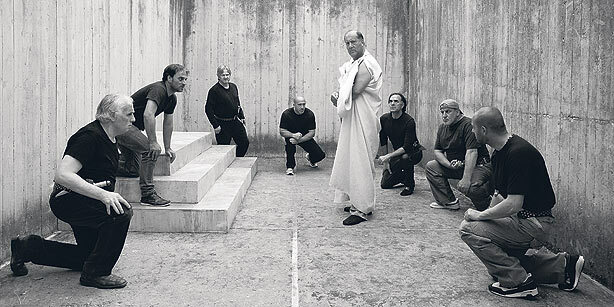 “Few directors can effectively and effortlessly tell such an intimate story on such a vast and epic visual canvas," Adopt's Jeff Lipsky said of the film. This is a film that sends chills down your spine.” Adopt is planning a late 2012 theatrical release. The company is one of a few new distribution entities to emerge in the United States in the past six months. Not connected to major studios and not as flush with money as The Weinstein Company or Magnolia Pictures, this new development is good news for European cinema that could have fallen between the cracks and never received any kind of North American showcase outside of festivals. Many films in the past few decades have reflected the “Irish troubles” but a new film that made its premiere at the Sundance Film Festival is one of the finest on the subject in years. SHADOW DANCER by UK debut dramatic director James Marsh (who won an Oscar for his documentary MAN WIRE and was represented this year by the celebrated doc PROJECT NIM) is a provocative thriller about one woman’s incredible fight to protect her son while being forced to betray those she loves. ATO Pictures has picked up North American rights to the film, set in 1990s Belfast, as a historic peace accord between the IRA and the British government is being promulgated, and undermined by a radical wing of the Irish nationalist organization. The film stars Andrea Riseborough (fresh from her starring role in Madonna’s historic pastiche W.E.) as the Irish lass who faces a staggering decision and divided loyalties within her IRA family and Oscar nominee Clive Owen as the British investigator who tries to unravel the mysteries of the plot while keeping his professional distance from a woman he is clearly drawn to. The film also co-stars Gillian Anderson, Aidan Gillen and Domhnall Gleeson. SHADOW DANCER was written by Tom Bradby and is based on his novel which he wrote 12 years ago after spending two years as an ITN political correspondent in Belfast. The film made its world premiere in the Premieres section of Sundance before heading next week to the 2012 Berlin Film Festival. Since 1996, the Sundance Institute has collaborated with NHK (Japan Broadcasting Corporation) to present the Sundance/NHK International Filmmaker Award. The goal of the award is to recognize and support a visionary filmmaker on his or her next film. Sundance Institute staff work closely with the winner throughout the year, providing creative and strategic support through the development, financing and production of their films. This year’s winner is Jens Assur, a recognized Swedish photographer and photo journalist who is directing the upcoming feature film CLOSE FAR AWAY. The film, which is still in the development stage, is a contemporary dramatic thriller of individuals in Africa and Europe who are put in vulnerable situations and whose actions carry personal and global consequences. Five interlocking stories converge and reveal a complex and unique story of the lives of seemingly random people around the world, showing just how connected we really are. 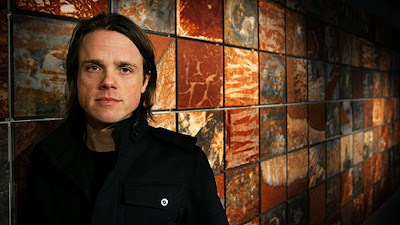 Jens Assur is a renowned photographic artist. His latest project, “Hunger,” consisting of five unique photographic books, created great attention in Sweden when it was released in 2010. His writing and directing debut, THE LAST DOG IN RWANDA won numerous awards all over the world, including First Prize at Clermont-Ferrand, Tribeca, Sydney, Rome and Palm Springs. His short film KILLING THE CHICKEN TO SAVE THE MONKEYS had its premiere in the short film section of this year’s Sundance Film Festival. Danish director Mads Matthiesen left the Sundance Film Festival this past weekend with gold. His film TEDDY BEAR earned him Best Director honors in the World Cinema Dramatic competition. The film is the story of a champion bodybuilder, an awkward hulk who lives with his demanding mother, who feels something is missing in his life. He sets off on an adventure of a lifetime to Thailand, where he begins to overcome his fears and personal limitations. His quiet revolution makes this a subtle and moving story about integrity, the inherent strength in gentleness, and what it means to be dutiful to one's self. The competition jury was impressed with Matthiesen’s strong but sensitive hand and with the internal performance of his lead Kim Gold. The film, which is represented by the Danish Film Institute and represented one of five high profile Danish films at the Festival, is the director’s debut feature after winning prizes for his short films at film festivals in Venice, Berlin, London, Melbourne and Los Angeles. No US distribution deal for the film has yet been announced, but a number of specialty companies are circling the film, impressed by its unique story and the depth of its message.